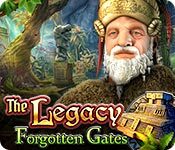 The Legacy: Forgotten Gates is rated 4.5 out of 5 by 28. 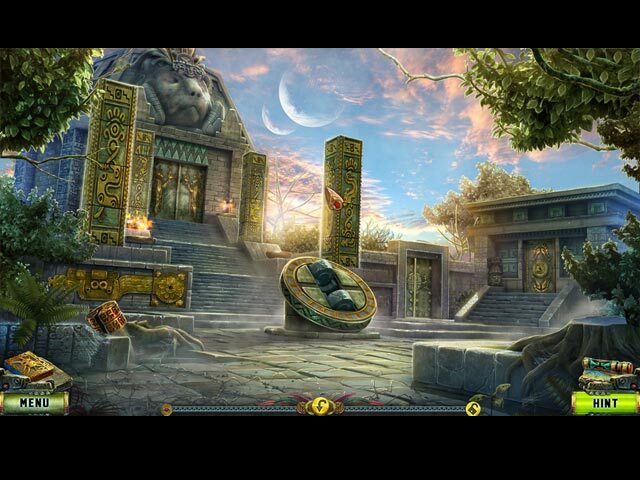 Rated 5 out of 5 by denniann2 from great hidden object game you are going to another world to save this one. then you have to take care of things there in order to come back to this world. good hint system. i played on custom. Rated 5 out of 5 by Majestyx12 from Mayan Temple Adventure I play as Diana and I'm in a museum. A Mayan stone calendar moves and takes me to another place. I try to find my way back and I met wonder people along the way. All the hops are interactive. I liked the puzzles in this game. I liked the surprise movements too. I try this game when it first came out in 2017 and I didn't like the CE but bought this SV with a punch coupon. Now I want the CE. I don't know what changed but I Love it now. Rated 5 out of 5 by lucilu2012 from This game is amazing. I don't write reviews often, but after playing this game I had to leave a review. I won't go into details but this shoots other games out of the water. Visuals are amazing. I thought I was transported into another world. Thoroughly enjoyed being lost in a fantastic world. I will buy the other Legacy games as well. Can't wait for another great trip. Enjoy, little fishies. Rated 5 out of 5 by worlockslady1 from Good Game, Worth Playing Everything about this game is an A+. A blast to play and just the right levels for length and challenge. I wish more games were like this 1. Rated 5 out of 5 by be_positive from Better than "The Legacy: Prisoner"..... much better I ended it in about 7 hours of playing today (with pauses :) ). I played "The Legacy: Prisoner" CE few days ago and didn't wish to buy this one because that other was so low with challenges and I assumed it is the same with this one. I forgot that I bought it earlier and now I am glad that I bought it :). Anyway, in this one challenges is great. In both games there isn't back and forth and logic works fine :). I liked mini games (hidden objects, puzzles) in game. 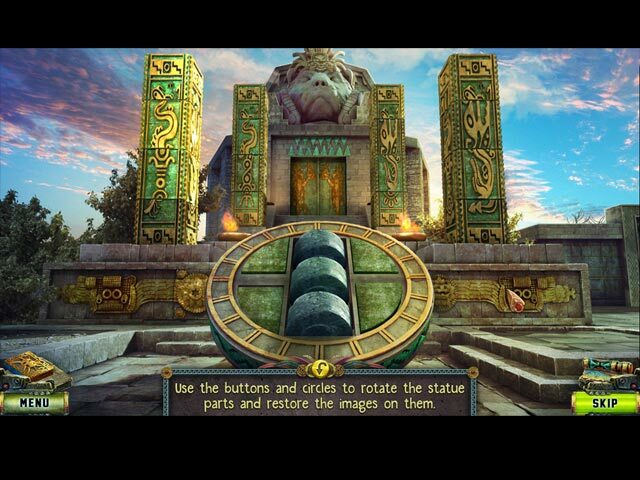 In hidden object mini games I enjoyed, because you must use what you find. Game is more like cartoon made but with touch of reality :D. Story is good and I like games with good stories, but in this one didn't care much for story. I played in hard mode. Rated 5 out of 5 by micheleappleyard from OMG SO AWESOME I loved this game so much I wish I would have gotten the collectors edition! So many levels, different puzzles, and intricacies. This game will take you HOURS AND HOURS to play!!!! Rated 5 out of 5 by gagoogle from Perfect in Every Way! This was an absolute joy to play. The story, music, artwork, gameplay were terrific. I especially liked the ease of navigation. Every HOG and puzzle was a challenge but not impossible and they were embedded in the story in very logical ways. Rated 5 out of 5 by paco12348 from Wonderful Game! I seldom write a review but on this one I felt the need to do so. This is truly a great game. I played on it for several hours and hoped I could find another like it. I'm disappointed in many of the games I purchase but this one held my interest. I enjoyed the story line and the game was logical. It was easy in part and challenging in part, so for me it was a fit. I especially liked being able to use the objects found in the scenes and seldom had to carry them over to another later part of the game.